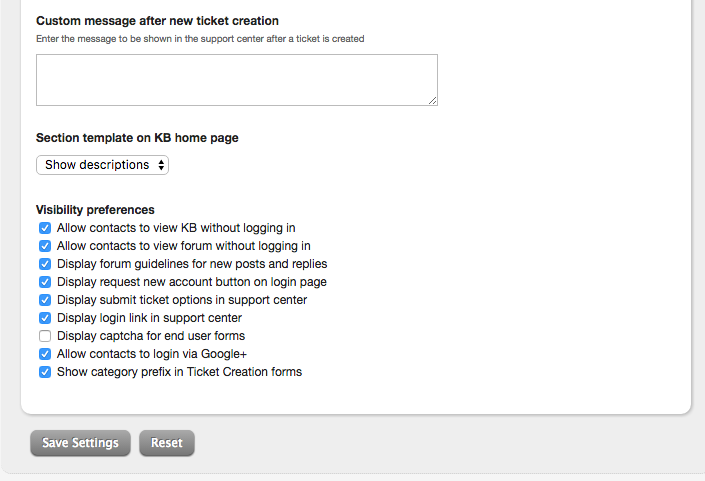 Knowledge Base is an integral part of the HappyFox Support Center where end-users can access KB articles, Forums, and login with their credentials to view their tickets. 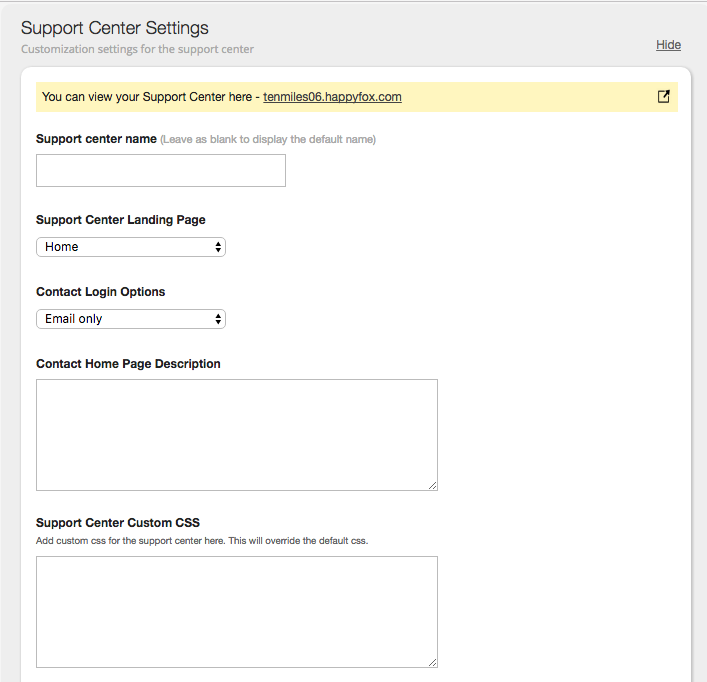 On the top of the Support Center Settings module, the support center URL will be seen. Clicking on that link will take the user to the Support center of the helpdesk. 1. The Support Center Name field correspond to the name of that appears right above the search bar in Support Center pages which you can also leave blank, optionally. 2. Choose how your customers should login to your Support Center to view their tickets and statuses using Client Login Options drop down. 3. Enter a custom message that you would want to be displayed to your customers in "Client Home Page Description" text box. 4. 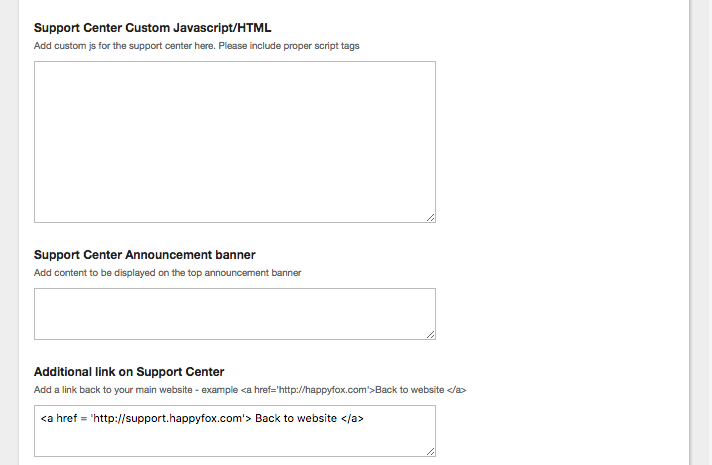 Add Support Center Custom CSS if you would like to do any modifications/additions to the CSS components. 5. Support Center Announcement Banner helps you publish important messages to your end-users at the top of your Support Center. 6. Define any additional hyperlinks to be displayed at the top of the page under Additional Link on Knowledge Base Header. 9. Set your Visibility Preferences for what you would want to show to your customers. Who can access these settings? To view/change the Support Center settings the staff should have "Access support center settings" permission enabled for his/her role.